Thank you for participating in Pollination Investigators this past summer! We hope you found the project to be enjoyable and worthwhile. Below is a link to a short survey to evaluate the project protocol in order to improve the program for the future. We invite responses from all those that received a pollination toolkit. We would really appreciate your feedback on this project! This survey will not ask for any personal information. All questions will be aimed to assess how to improve the program. These data will be maintained at Ohio State University by Dr. Mary Gardiner. We have been hand pollinating flowers! What about you? Let us know how things are going! 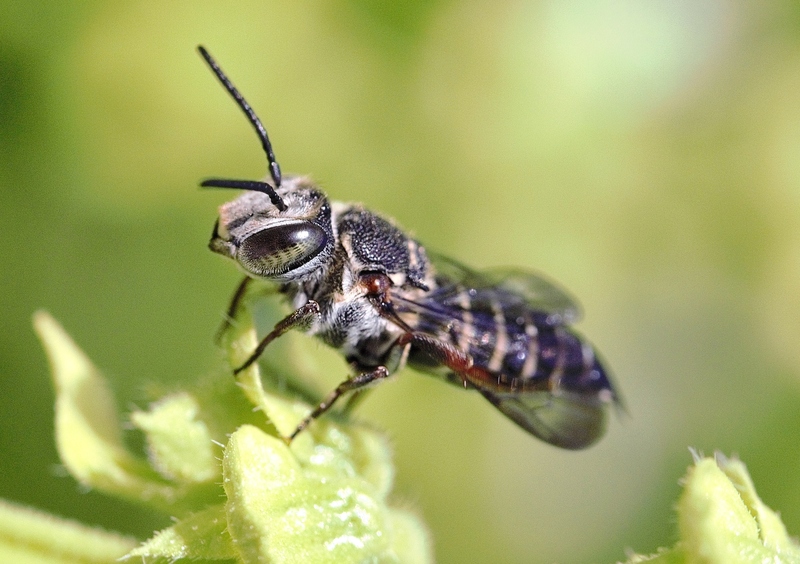 Want to learn about bees and their ecological role? The Stratford Ecological Center in Delaware, Ohio is hosting a Meet the Bees event tomorrow, July 22, from 10 – 11:30 am. $10 per family. Contact Dave Noble (740-363-2548) for availability. Check out the link below for information! We are interested to hear about your progress as a Pollination Investigator! 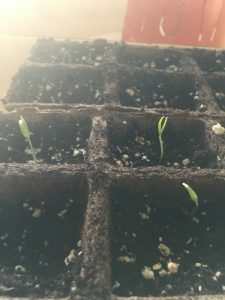 Send us an update and a photo of your pepper plants! Check out Joe’s pepper plants in his garden! Thanks for participating in Pollination Investigators, Joe! Although I will admit, I didn’t give my Dad much of a choice. 🙂 I think he is pleasantly surprised with how much fun science can be! Go Science! Send pictures to: pollinationinvestigator@gmail.com, or email with any questions or concerns! I hope the experiment set-up went smoothly for everyone! 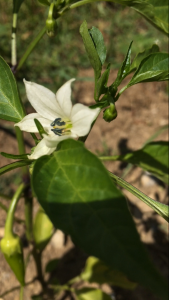 Our pepper plants are in the garden and doing well. 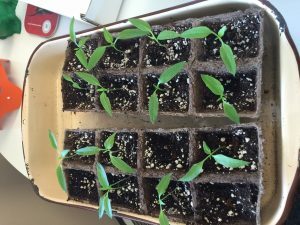 Send us an update on your peppers and a picture of the experiment in your garden! Check out Marlin’s peppers below. Thanks for the photo and update, Marlin! Our seedlings are looking great, and we have begun the hardening off process. Today I put the seedlings outside for a couple of hours, and then increase the amount of time they are outside for 7 days. 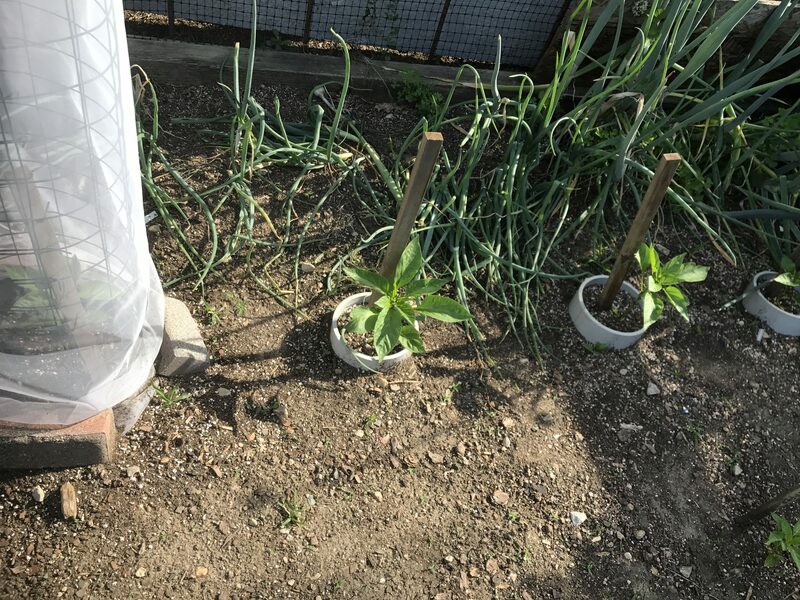 Avoid putting your seedlings in the direct sun in the beginning and make sure you water them well during this process. This is a first for me. 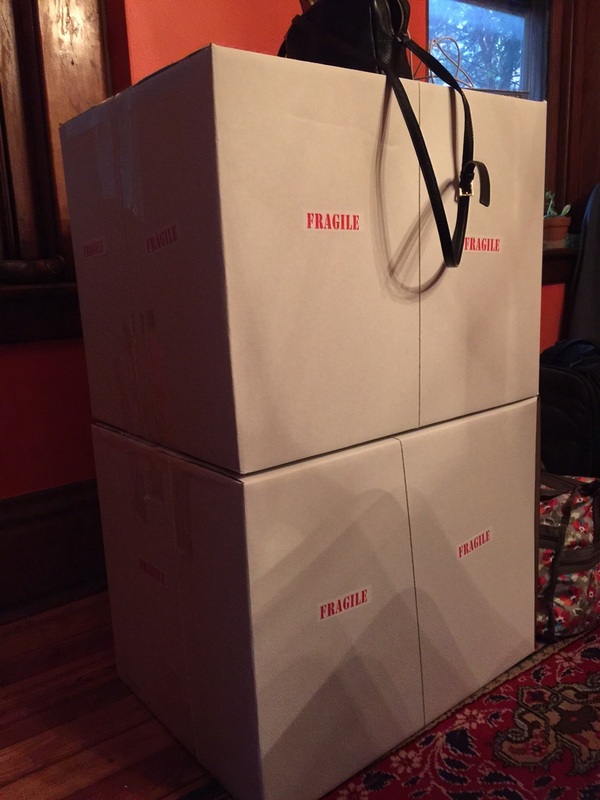 I am traveling to Washington DC with 3,000 + pinned bees from one of our research studies. 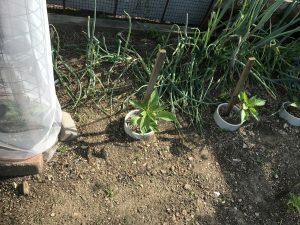 The project examined the value of urban agricultural crops and weedy plants as forage for pollinators. I will meet with an expert tomorrow who will verify our identifications before we move forward to publish the study. 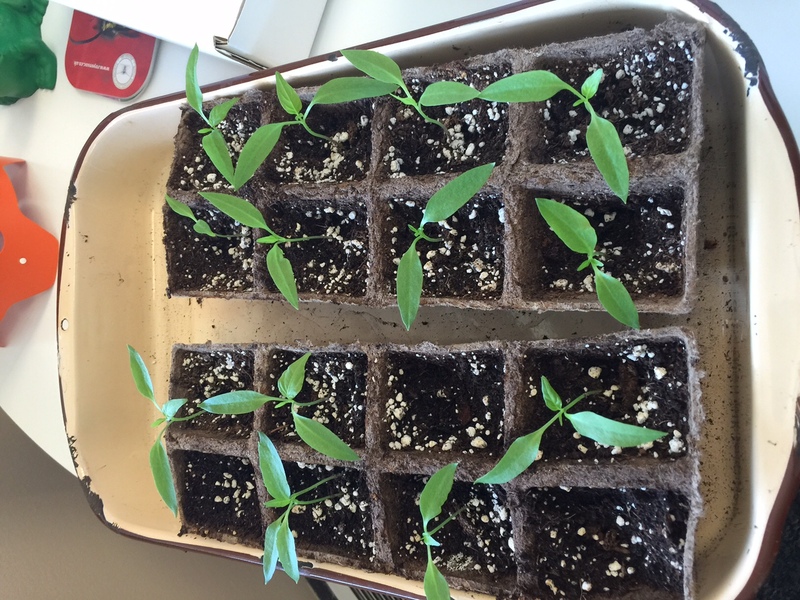 I was excited to see that some of my peppers have sprouted when I got into my office this morning. 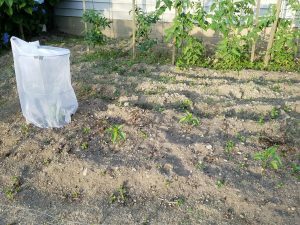 Once they establish 1-2 true leaves i will begin to harden them off. 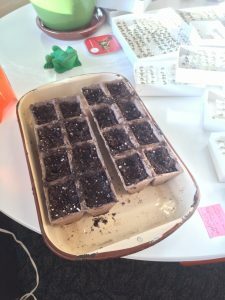 We just planted our seeds this week! As you can see I also have a large bee identification project underway in the background. Jenny Stanek on Meet Andrew! gardiner.29@osu.edu on Looking to Sign Up for PI? Barbara Cooper on Looking to Sign Up for PI? Are you interested in the value of your landscape for pollinators? This citizen science project gauges the health of your bee community by measuring the pollination it provides. 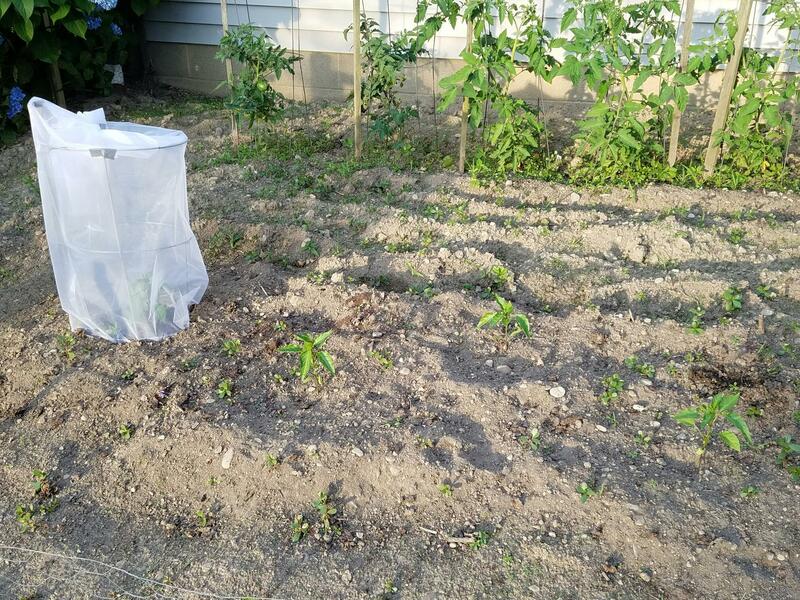 We can then compare the efficiency of crop pollination across Ohio home gardens. To participate, email Mary Gardiner (gardiner.29@osu.edu) and request a toolkit today for the 2017 sampling season. 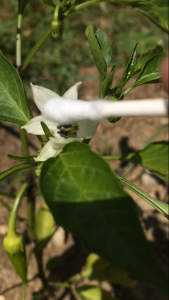 For details about what you will do as a Pollination Investigators Volunteer check out the Experiment page on this website.